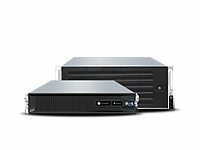 San Jose, Calif., April 10, 2018 — iXsystems, the leader in Enterprise Open Source servers and software-defined storage, announced the TrueNAS M40 and M50 as the newest high-performance models in its hybrid, unified storage product line. 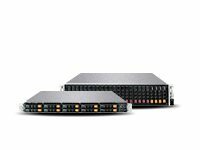 The TrueNAS M-Series harnesses NVMe and NVDIMM to bring all-flash array performance to the award-winning TrueNAS hybrid arrays. 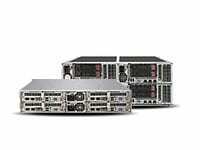 It also includes the Intel® Xeon® Scalable Family of Processors and supports up to 100GbE and 32Gb Fibre Channel networking. 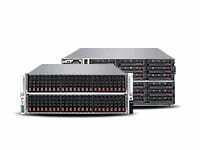 Sitting between the all-flash TrueNAS Z50 and the hybrid TrueNAS X-Series in the product line, the TrueNAS M-Series delivers up to 10 Petabytes of highly-available and flash-powered network attached storage and rounds out a comprehensive product set that has a capacity and performance option for every storage budget. As a unified file, block, and object sharing solution, TrueNAS can meet the needs of file serving, backup, virtualization, media production, and private cloud users thanks to its support for the SMB, NFS, AFP, iSCSI, Fibre Channel, and S3 protocols. At the heart of the TrueNAS M-Series is a custom 4U, dual-controller head unit that supports up to 24 3.5” drives and comes in two models, the M40 and M50, for maximum flexibility and scalability. The TrueNAS M40 uses NVDIMMs for write cache, SSDs for read cache, and up to two external 60-bay expansion shelves that unlock up to 2PB in capacity. 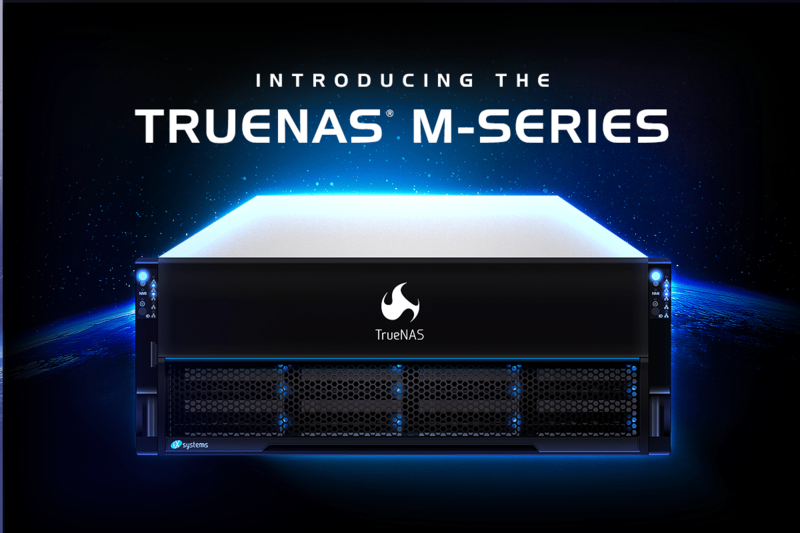 The TrueNAS M50 uses NVDIMMs for write caching, NVMe drives for read caching, and up to twelve external 60-bay expansion shelves to scale upwards of 10PB. The dual-controller design provides high-availability failover and non-disruptive upgrades for mission-critical enterprise environments. By design, the TrueNAS M-Series unleashes cutting-edge persistent memory technology for demanding performance and capacity workloads, enabling businesses to accelerate enterprise applications and deploy enterprise private clouds that are twice the capacity of previous TrueNAS models. It also supports replication to the Amazon S3, BackBlaze B2, Google Cloud, and Microsoft Azure cloud platforms and can deliver an object store using the ubiquitous S3 object storage protocol at a fraction of the cost of the public cloud. As a true enterprise storage platform, the TrueNAS M50 supports very demanding performance workloads with up to four active 100GbE ports, 3TB of RAM, 32GB of NVDIMM write cache and up to 15TB of NVMe flash read cache. 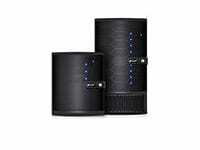 The TrueNAS M40 and M50 include up to 24/7 and global next-business-day support, putting IT at ease. The modular and tool-less design of the M-Series allows for easy, non-disruptive servicing and upgrading by end-users and support technicians for guaranteed uptime. TrueNAS has US-Based support provided by the engineering team that developed it, offering the rapid response that every enterprise needs. Enterprise: Perfectly suited for private clouds and enterprise workloads such as file sharing, backups, M&E, surveillance, and hosting virtual machines. Unified: Utilizes SMB, AFP, NFS for file storage, iSCSI, Fibre Channel and OpenStack Cinder for block storage, and S3-compatible APIs for object storage. 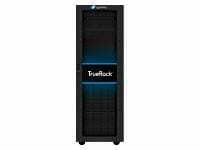 Supports every common operating system, hypervisor, and application. Economical: Deploy an enterprise private cloud and reduce storage TCO by 70% over AWS with built-in enterprise-class features such as in-line compression, deduplication, clones, and thin-provisioning. Safe: The OpenZFS file system ensures data integrity with best-in-class replication and snapshotting. Customers can replicate data to the rest of the iXsystems storage lineup and to the public cloud. 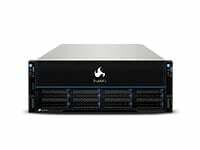 Reliable: High Availability option with dual hot-swappable controllers for continuous data availability and 99.999% uptime. Familiar: Provision and manage storage with the same simple and powerful WebUI and REST APIs used in all iXsystems storage products, as well as iXsystems’ FreeNAS Software. Certified: TrueNAS has passed the Citrix Ready, VMware Ready, and Veeam Ready certifications, reducing the risk of deploying a virtualized infrastructure. Open: By using industry-standard sharing protocols, the OpenZFS Open Source enterprise file system and FreeNAS, the world’s #1 Open Source storage operating system (and also engineered by iXsystems), TrueNAS is the most open enterprise storage solution on the market. The TrueNAS M40 and M50 will be generally available in April 2018 through the iXsystems global channel partner network. The TrueNAS M-Series starts at under $20,000 USD and can be easily expanded using a linear “per terabyte” pricing model. With typical compression, a Petabtye can be stored for under $100,000 USD. TrueNAS comes with an all-inclusive software suite that provides NFS, Windows SMB, iSCSI, snapshots, clones and replication. For more information, visit www.ixsystems.com/TrueNAS or follow us on Twitter and LinkedIn. By leveraging decades of expertise in hardware design, its contributions to many Open Source software communities, and corporate stewardship of leading Open Source projects (FreeNAS and TrueOS), iXsystems has become an industry leader in building innovative storage solutions and superior enterprise servers for a global marketplace that relies on open technology. Thousands of companies, universities, and government organizations have come to rely on iXsystems’ storage, servers, and consultative approach to doing business. Headquartered in the heart of Silicon Valley since its founding in 1996, the dedication to white-glove customer service, industry-leading support, and transparent technological contributions has never wavered and continues to help lay the foundation for a new era powered by open technology.